Students will look at the work of Ant Farm, co-founded by Chip Lord and Doug Michels in San Francisco in 1968. 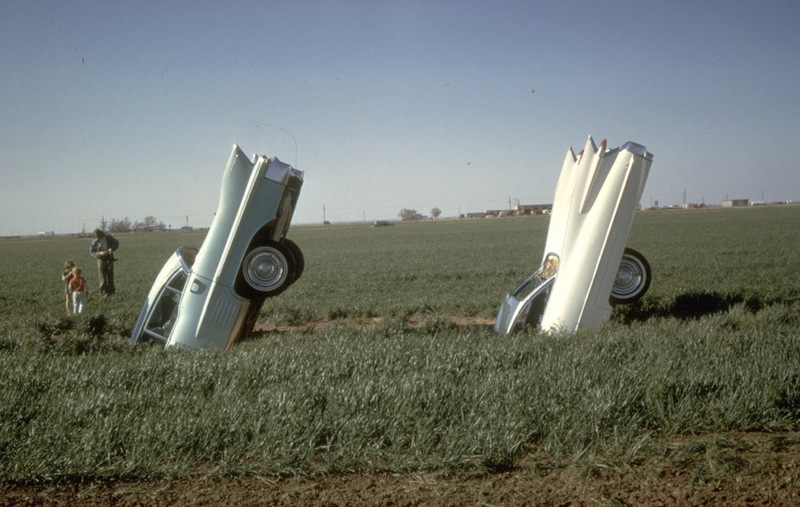 From our studies of the collective artwork and forms of collaboration, we will look in depth at how Ant Farm pioneered the interdisciplinary fusion of media art, performance, spectacle, and sculpture in such iconic works as Media Burn, Cadillac Ranch, and the Eternal Frame. Chip Lord live from the NMC Media Lounge at the College Art Association conference, on 23 February 2018. 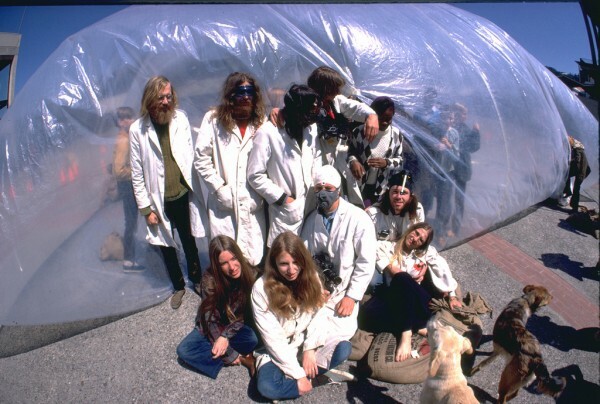 Ant Farm, a group of artists and architects based in San Francisco, produced experimental work between 1968 and 1978. The group combined architecture, performance, happenings, sculpture, installation, and graphic design, and documented its activities on camera in the early days of video art, embracing the latest technologies to disseminate its scathing criticism of American culture and mass media. Ant Farm was a product of the 1960s in America: rebellion, hippie movement, non-conformist, rock and roll, etc. Out of this ferment they began to create works of architecture, art, performances, and other interdisciplinary forms that signified the stretching of artist boundaries that was in the air of the 1960s with the emergence of video and new media technologies. Ant Farm as a media collective was part of the communalism of the 1960s, the rock band, and the emphasis on collaboration and collectivity. Ant Farm also stood for the underground, where ants far from our view build colonies and communities. 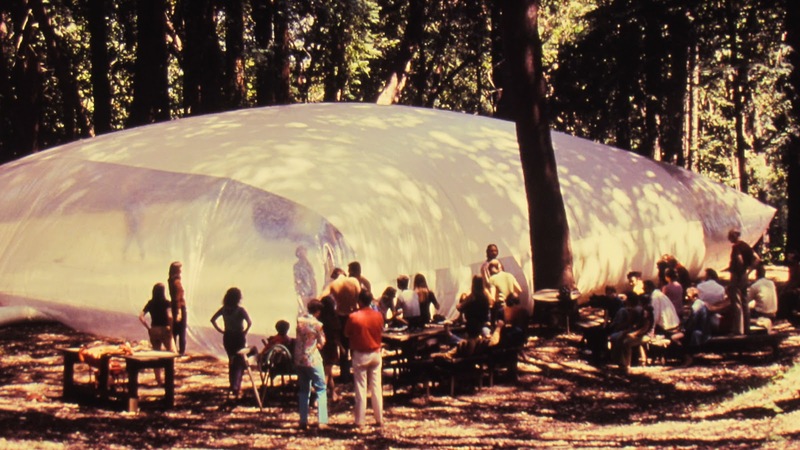 Ant Farm’s architectural interests involved the creation of inflatables, temporary structures that could be built cheaply and efficiently as part of their interest in nomadic, portable lifestyle. Ant Farm was influenced by growing up on television, the culture of television and its influence on the formative stages of those growing up in the post World War II baby boom. 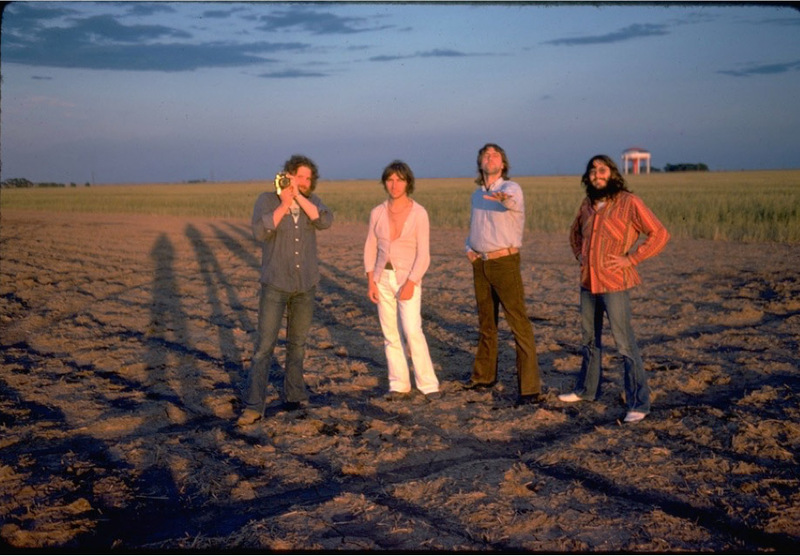 In 1974 Ant Farm staged Cadillac Ranch Show, its most famous intervention, in Amarillo, Texas, along U.S. Route 66. Ten different models of Cadillac cars were half-buried in a row, nose-first in the ground, at a sixty-degree angle corresponding to that of the Great Pyramid of Giza, in Egypt. Each car features one step in the evolution of the tail fin from 1949 to 1963 in a statement about innovation in a technological era, the American dream, and the absurdity of consumerism. The cars are periodically repainted; they rarely last more than a few hours without new graffiti. The video alternates between footage of the making of the installation and sequences in which members of the group examine each Cadillac in detail, depicting its value as a design object at once wonderful and grotesque and as an expression of the values of American society. 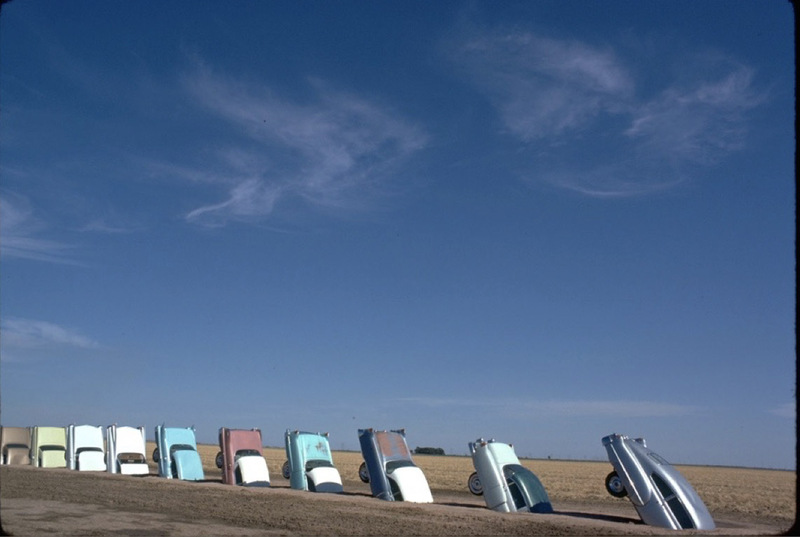 They were deeply interested in the American car of the 1950s as an icon representation of the American Dream, particularly the tailfin, which led to the creation of Cadillac Ranch in 1974. Chip Lord had a particular fascination for the Cadillac tailfin as a design motif of American futurism, utopianism, desire, seduction and pure style. The essence of the Dream Car in America. 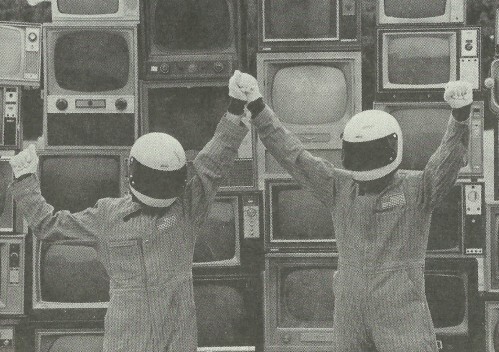 Media Burn integrates performance, spectacle and media critique, as Ant Farm stages an explosive collision of two of America’s most potent cultural symbols: the automobile and television. 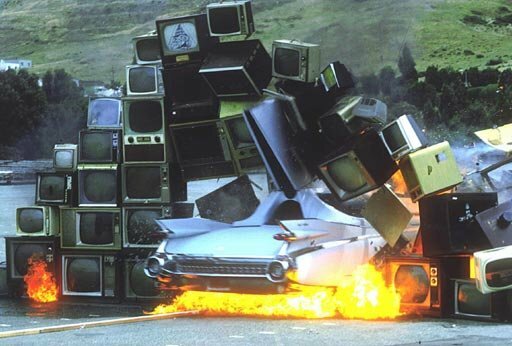 On July 4, 1975, at San Francisco’s Cow Palace, Ant Farm presented what they termed the “ultimate media event.” In this alternative Bicentennial celebration, a “Phantom Dream Car”—a reconstructed 1959 El Dorado Cadillac convertible—was driven through a wall of burning TV sets. 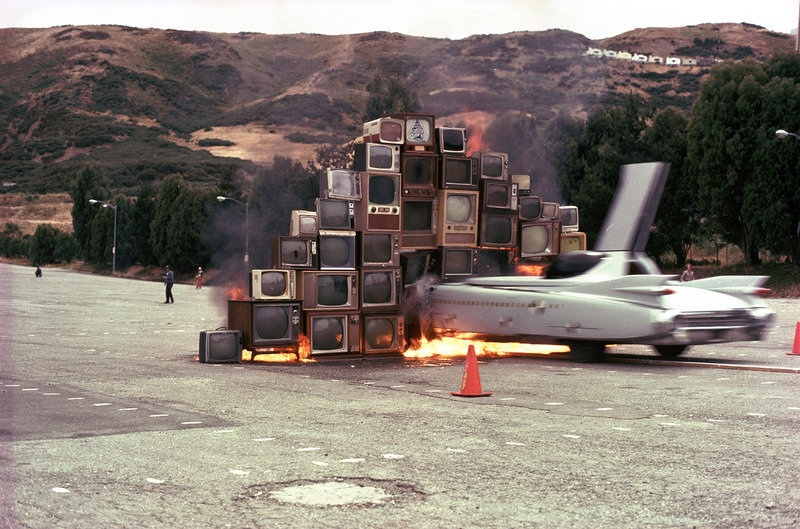 Examining the impact of mass media in American culture, Media Burn exemplifies Ant Farm’s fascination with the automobile and television as cultural artifacts, and their approach to social critique through spectacle and humor. 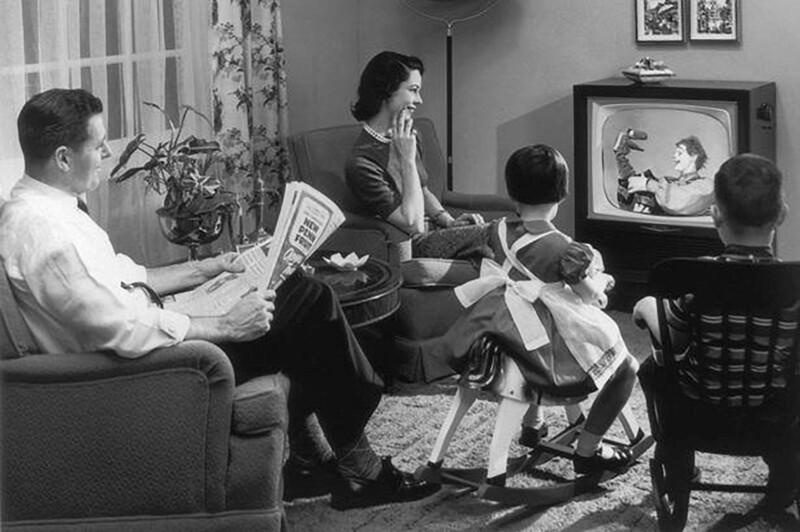 Ant Farm organized Media Burn, in which two “artist dummies” dressed as astronauts “drove” a customized 1959 Cadillac renamed the Phantom Dream Car at full speed into a wall of flaming television sets. Using the car once again as a cultural icon, Ant Farm addressed the pervasive presence of television in everyday life, affronting the same media they had invited to cover the event. 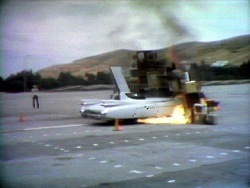 The video is styled after news coverage of a space launch, including melodramatic pre-stunt interviews with the members of the group and an inspirational speech by a John F. Kennedy impersonator. Media Burn is a classic confrontation with the power of television, the symbol of broadcast media, the ubiquitous nature of the image as it is disseminated to our tv sets. This work is a challenge to television, as well as its embrace, since the Phantom Car itself is equipped with an elaborate television monitoring system that guides the “artist-dummies” to their inevitable destructive destination into the burning video wall. Through a deconstruction of the filmic image, the artists underscore the media’s importance to contemporary mythology — in which greatness is more a measure of drama than substance — and the extent to which it can be manipulated. 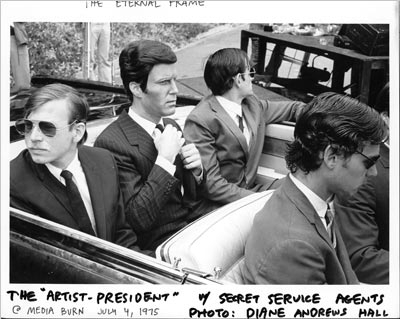 In light of television’s transformation of the American political system — and the later election of a movie star to the presidency — The Eternal Frame continues to ring a truthful and haunting chord in the American consciousness. In the The Eternal Frame Ant Farm, in collaboration with another media collective T.R. 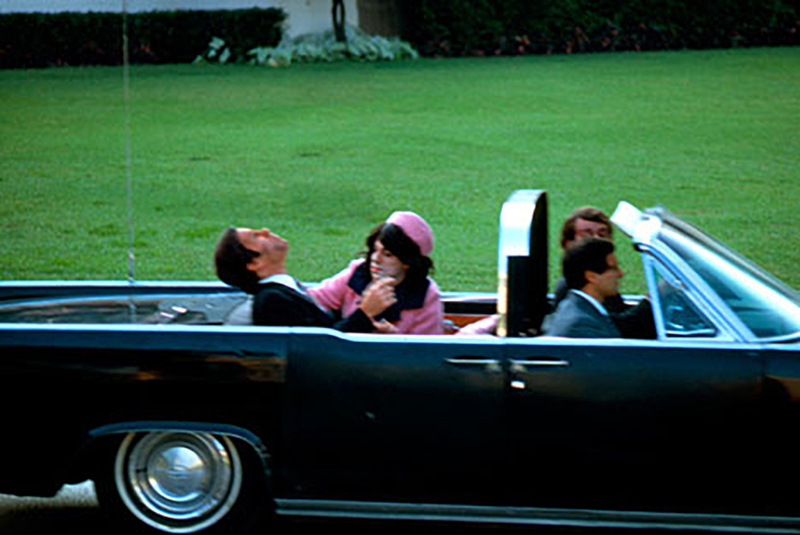 Uthoco, re-enacted the Kennedy assassination. Why you may ask? 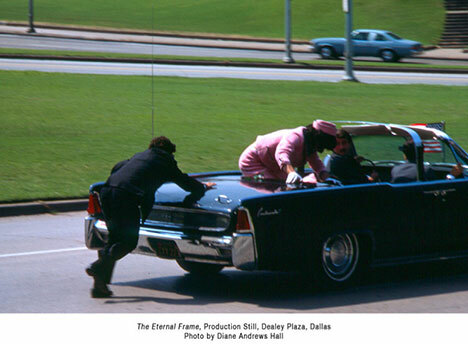 Perhaps because of the powerful imagery of the Zapruder Film that runs as a narrative through the lives of a generation, in which, like September 11th for another generation, the images holds tremendous power to shape our reality and the impact of the event. In many ways, the images of 9/11, like the images of the Kennedy Assassination, are more powerful than the event itself. With the advent of television, images course through the global nervous system and reside in our consciousness to remain in our memory forever. Perhaps this is the ultimate weapon: the creation of a media spectacle? Both Media Burn and the Eternal Frame are critical, artistic examinations of the media spectacle and the nature of the mediated image. This micro-project combines our study of glitch and the Media Burn work by Ant Farm, both of which delve into destruction as an act of artistic expression. Here we are embracing problems, inconsistencies, and accidents. Examples might be network errors, bad lighting, audio and/or video noise, pixellation, excessive motion, etc. Choose a medium to work in, including performance, and find ways to design interaction with the specific elements of the material, whether physical or digital and/or performative, incorporating an image, sound, video, animation, object, etc., which ultimately deteriorate the quality of the work, creating a new quality that is its enhancement through destruction. Form groups of 3 to 4 for this project. Each project will be presented in class. You will upload documentation images and/or videos of your project on OSS. Create a new post on OSS. Write a short paragraph describing how your work incorporate destruction and glitch as artistic expression. Write short 300 to 500 word essay about your Art of Destruction project and incorporate (1) Menkman, R. (2009) “Glitch Studies Manifesto”, (2) Randall Packer, Conversation with Jon Cates (2014) Hyperallergic and (3) Interview with Chip Lord into your research critique post, using at least one quote from each article and/or interview to support your own research and analysis. How does your project embrace problems, inconsistencies and accidents? How is the medium in your work transformed from its original state through the act the deterioration and destruction? How is glitch and destruction an act of artistic expression? You will upload your OSS post by Week 9. Create a new post on your OSS incorporating relevant hyperlinks, images, video, including documentation from your Micro-Project 5: The Art of Destruction etc. Be sure your post is formatted correctly, is readable, and that all media and quotes are DISCUSSED in the essay, not just used as introductory material. © 2019 Experimental Interaction – G1.